This book presents the history of lead mining in the northern tip of the Alston Block. 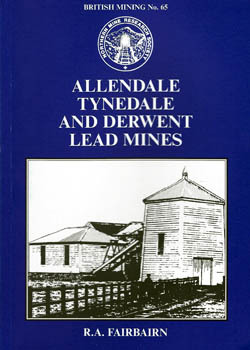 For convenience, the area has been divided into three units: Allendale, including all of East and West Allendale; Tynedale, covering the South Tyne and Tyne valleys and also including one or two mines north of the river; and Derwent, including the rich mining area around Blanchland, as well as the south side of the Devil's Water valley. A monograph of the Northern Mine Research Society.